Imagine this. You’re at a fall festival biting into a tart, crunchy apple. Or, you’re at home, the snow is falling outside and you are cuddled up on the couch with a mug of homemade beef potato stew. Perhaps it’s July, and you’re soaking up the sun at your child’s baseball game, while the juice of a soft, sweet peach dribbles down your chin. The foods we eat seasonally have a cultural and emotional tie to them. Eating seasonally is hardly a new food trend. People all over the world have consumed seasonal foods throughout most of history before emerging transportation allowed the bulk shipment of food among distant countries. But, besides the cultural norm of pumpkin flavored everything in the fall, how can eating seasonally help our health and our community? One of the top benefits of eating seasonally is that you are consistently eating fresher tasting produce. Foods that are in-season are generally grown closer to your home. When your food does not have to travel across an ocean to get to you, the freshness is preserved, along with the nutritional content. This not only reduces the carbon footprint of your food but also creates a more delicious tasting fruit or vegetables. Have you ever eaten homegrown tomatoes? This is one of the best examples of freshness. Nothing quite compares to the refreshing sweetness of a perfectly imperfect garden tomato. 2. It promotes eating locally. The Colorado Proud logo indicates locally grown, raised, and processed food products. Image obtained from Colorado.gov website. But, why is eating local so important? First, buying local foods supports your home economy. Your money spent with local farmers stays close to home and is reinvested in local businesses and services. This can also create more jobs within local farms, processing, and distribution systems. Additionally, local food is more sustainable for the environment, because it travels much less than typical groceries. This means that there is less time from farm to table, which reduces overall greenhouse gases. Finally, eating local builds more connected communities. Creating connections between people and their local farmers builds a vibrant community that is passionate about providing healthy and safe foods for all families. One of the best ways to know your local farmer is by heading to a farmer’s market. To find a list of farmer’s markets near you, click here. Markets allow you to not only pick seasonal produce and support local farms, but oftentimes met with the farmer or family in person. Another huge way to promote eating seasonally is to invest in a CSA – Community Supported Agriculture. A CSA is an investment in a local farm or collection of regional farms that is paid in bulk before harvesting. Your lump payment acts as a “share”. 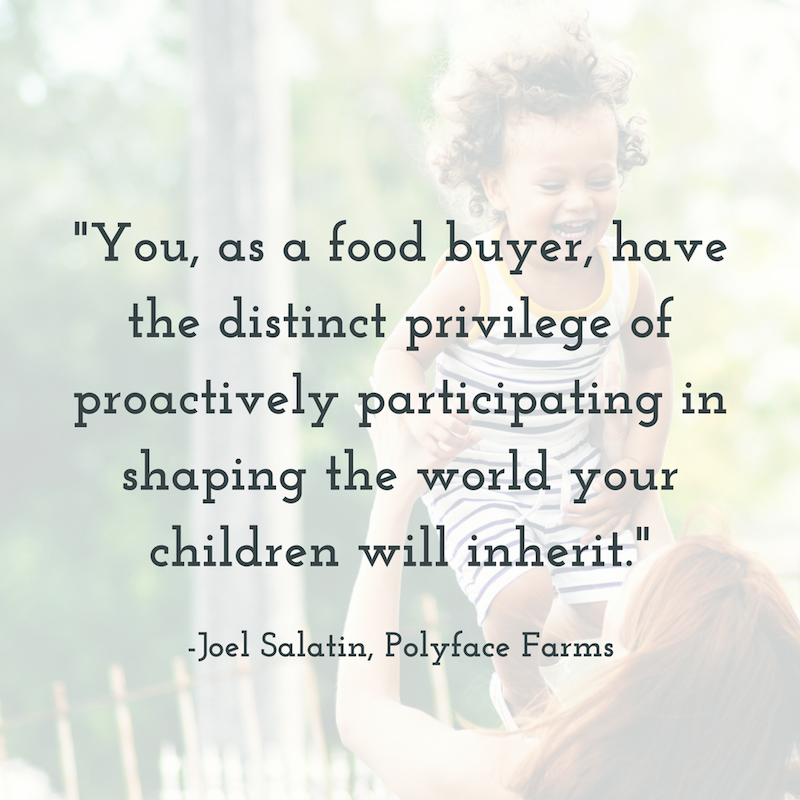 Because of your payment, you then receive weekly boxes of locally harvested produce to include in your meals at home. 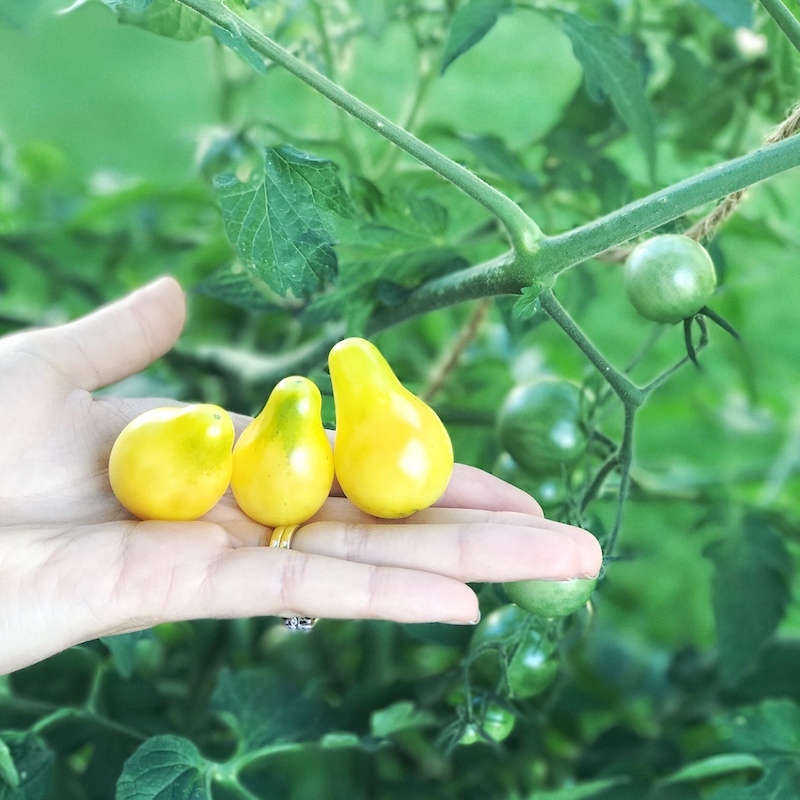 This mutual relationship benefits both the farmer (improved cash flow before harvesting) and the consumer (ultra-fresh and delicious produce each week). However, the initial investment of a CSA share can cost a pretty penny to the consumer. Read on to learn about the breakdown of it all. 3. Eating seasonally means you save money. The cost-savings of eating local boils down to a matter of supply and demand. When you buy in-season produce, you are buying food at the peak of its supply. Because local farmers often harvest seasonal produce as well, food distribution costs go down, along with the price you pay at the store. This may seem like common sense, but many people do not take advantage of the seasonal produce sales. If I had a nickel for every time I heard some variation of the comment “eating healthy is expensive”, I could probably pay for a full CSA membership! 😉 The truth of the matter is, eating healthy CAN be expensive, but it does not HAVE to be expensive. Planning your meals around seasonal produce can save you tons of money in the long run. Wait, I thought CSA memberships are expensive? Yes, it is true that a CSA membership comes at a hefty initial price tag. However, when broken-down and compared to grocery store prices, the weekly cost of a CSA membership is, in fact, cheaper (about $75 per season cheaper). See this website for a detailed work-up of the cost savings! (To be completely transparent, we have not invested in a CSA yet, simply because it is a substantial cost up front, and we were traveling often this summer). If you aren’t quite ready to invest in a CSA either, another great option is simply shopping the sales at the grocery store. If you don’t receive ads or newspapers in the mail, stores like Sprouts and King Soopers offer their own mobile apps with access to weekly ads. Seasonal produce sales are now literally in the palm of your hands! Planning your weekly menu around these sale items can help you save LOADS of money each year. 4. It encourages you to try new foods. Coming from the girl who used to order chicken fingers at every restaurant growing up, eating seasonally can expand your palate. Eating healthy does not have to mean scarfing down baked chicken and broccoli every day (which in all honesty, is a recipe for nutritional deficiencies). Choosing seasonal produce allows you to try new foods and cooking methods that you may not have otherwise. Branching out in your food bravery department can help improve your overall health. But, don’t give up after one failed attempt! It takes repeated exposure to new foods to acquire a taste for them. Studies like this one have found that it can take up to 8 or 9 times trying a new fruit or vegetable to promote liking of these foods. Experiment with various cooking methods for these new foods to see if this helps your preferences. I once had a client tell me that his mom used to “steam the crap out of broccoli”, so he never wanted to eat it as an adult. The reality is that there are SO many ways to cook vegetables: roasting, stir-frying, grilling, sautéing, baking etc! 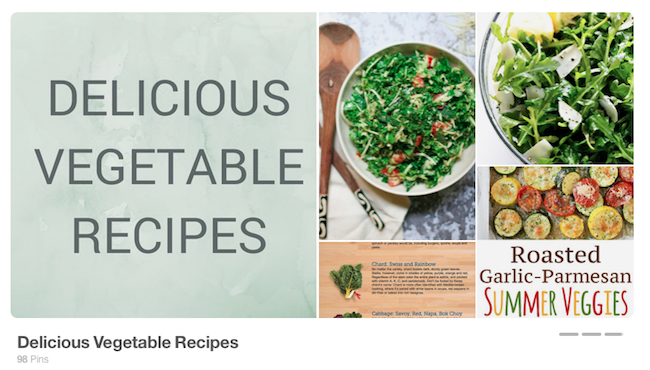 If you’re looking for great ideas on how to make vegetables taste good, follow my Pinterest board for more inspiration and recipes! 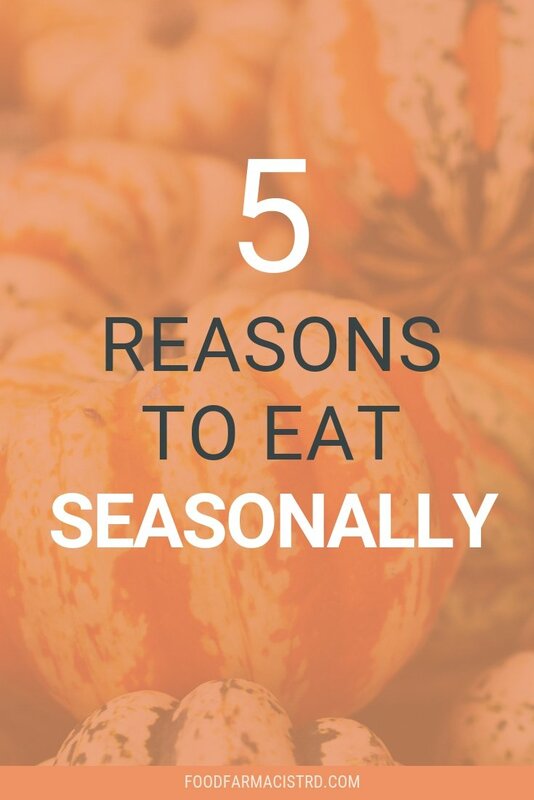 A nice side effect of eating seasonally is a more nutritionally varied diet. Produce that is purchased in season is more likely to be eaten closer to harvesting (when the farmer picks it). This produce is usually higher in antioxidants, vitamin C, and folate, to name a few. Have you ever heard the recommendation to “eat the rainbow”? Nope, it’s not referring to Skittles. Eating a wide variety of color promotes a varied diet to span multiple nutritional benefits. Did you know that 88% of Americans do not get enough vitamin E? Or that 52% of people do not meet the estimated requirements for magnesium? Americans are overfed but undernourished. Seasonal eating is a great way to increase your intake of fresh fruits and vegetables that offer vast nutritional diversity. As with any nutrition recommendation, avoid going overboard. If you absolutely love apples, but you’re worried about eating apples in the spring because they are not in season — eat the apple!! Eating any type of fruit or vegetable is always better than eating none. 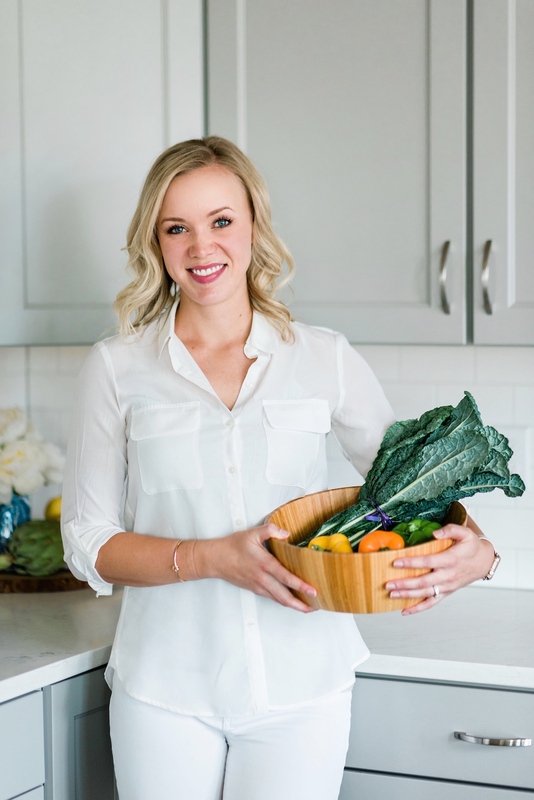 Strive for eating local and in-season when possible, but most importantly, eat mindfully and choose foods that are loving and wholesome for your body.